Vietnam Travel News & Events ! Can’t find a perfect match? 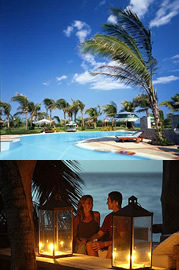 Tell us what you are looking for and we will arrange the trip for you. Special : We can custom made tours according to your time, interest and itinerary. $40One Day Trip to Ha Long Bay( Full Day Trip ). Joined tours !!! $80Ha Long Bay Exploration - Kayaking( Sleep on boat ). Joined tours !!! $97Ha Long Bay - Cat Ba Island( 3 Days 2 Nights ). Joined tours !!! 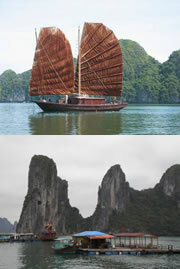 $270Halong Bay On Luxury Junk - Indochina Sails( 2 days - 1night ). 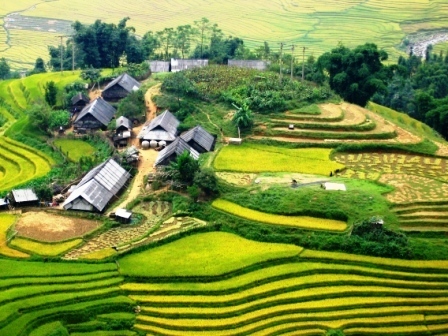 Sapa daily tour by train - Join the Sapa hill tribes tour now ! $121CanCau market and BacHa market Tour ( Weekly departure on Friday )( 4nights/3days ). 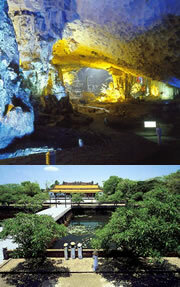 $105Phong Nha Cave & DMZ tour( 2 days / 1 night ). $180Cyling To Mirnority Villages( 3 days / 2 nights ). 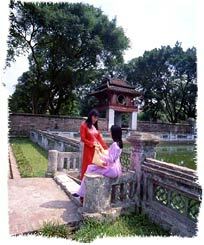 $170Vietnam Heritage tour, Central Vietnam stopover, My Son world heritage site( 5 Days 4 Nights ). $50Hue - Demilitarized Zone (DMZ)( Full Day Trip ). 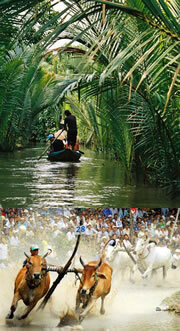 $280Bao Vinh Hue Ancient Town - Bach Ma National Palk - Hoi Am - My Son Holy Land( 6 Day 5 Nights ). 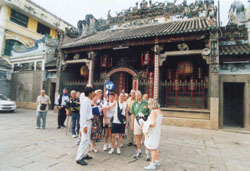 $320Hue Handicraet - DMZ & Home Stay- Bach Ma National Park - Hoi An - My Son Holy Land. ( 7 Days 6 Nights ). 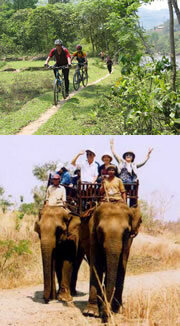 $140Demiltarized Zone (DMZ) & Minority Village Homestay 2 Days Trip. Beach Relaxing Tours - Day Tours - Mini Trips! Welcome to Hochiminh city ! 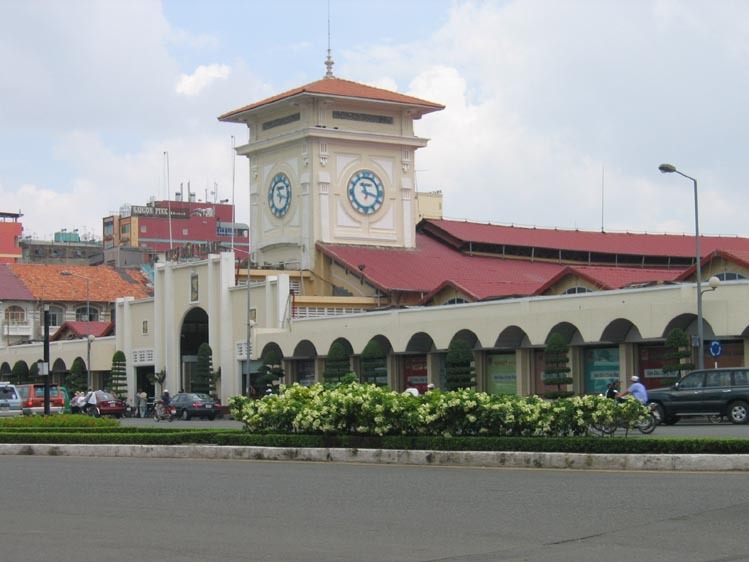 - one of the most bustling cities of Vietnam where you can find the remains of the times to the best five star in the world. In fact, Hochiminh city is a city of commerce, industry, travel … where used to be considered as " The Pearl of Far East Asia ". Although, it is growing to catch up the world's economic speed, there still is the charm of the people and cultures. Visitors feel welcome and secure like at home as they always see Saigonese' smiles presenting their greetings to them at all times. Plan your trip here ! !